Are you thinking of seeking psychotherapy treatment but are feeling a bit nervous? Or have you already scheduled an appointment and feel like the days counting up to it have been filled with anxious anticipation? There are many reasons which can make you feel anxious before an appointment. Maybe you have a lot to tell your therapist but you don’t know how. Maybe you’ve been repressing your “stuff” all week and a part of you really just doesn’t want to face it in therapy. Maybe you’re afraid you’ll breakdown or embarrass yourself. Here are some tips that may help you to stay relaxed for your appointment. Being calm can help you to make the best of the appointment and improve your healing process. Arrive early! You might feel like you have a lot of things that you want to tell your therapist but you don’t really know where to start. Your thoughts are all jumbled and messy and you’re afraid you won’t be able to put your feelings into words that your therapist will understand. Arriving early can help you to sit down and really collect your thoughts. It will allow you to organize them ahead of time and prepare the thoughts that you want to share with your therapist. Journaling. Whether you journal every day or not, it might be useful to write down your thoughts after each appointment so you can remember what your therapist told you. It would also be useful to keep a notepad or note on your phone to write down thoughts or questions that you come across throughout your week that you may want to explore with your therapist during the next session. This can also be a good way to help you organize your thoughts. Be honest. How you are feeling when you plop yourself down on the couch is not something you have to keep to yourself. Be honest with your therapist. If you have been anxious about the appointment, let him or her know. It could be important to explore together why you feel that way and maybe work on reducing your anxiety in the future. If you have been having an off day and don’t feel like talking, tell your therapist so that he or she can help you work around that. Therapy is a place to be open with your thoughts and emotions no matter what they are. Being honest can help lead to more productive therapy and help both you and your therapist understand you and your struggles better. It’s normal to be feeling nervous before an appointment, but know that you don’t have to be. Psychotherapy is an environment in which you can heal. It can be hard, but facing your struggles and tackling them head on with a therapist has proven to be essential and very useful in the process of healing. 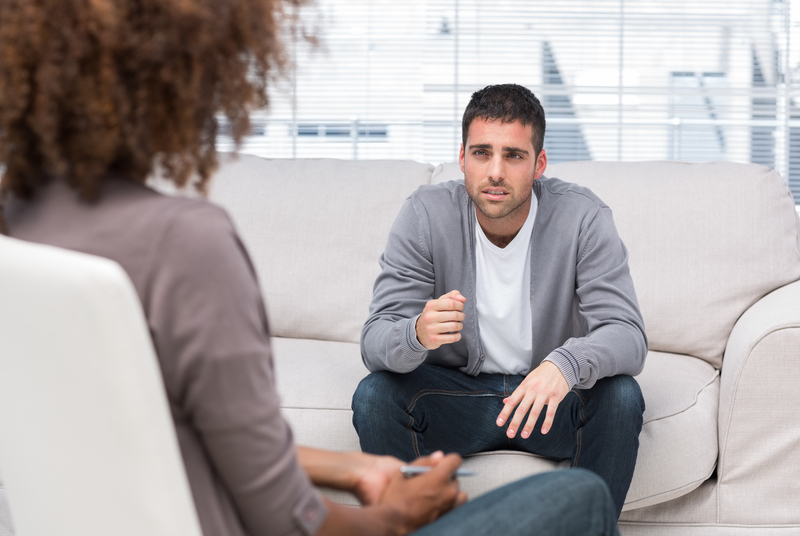 If you or a loved one live in Manhattan or Bergen County New Jersey and are in need of therapy, the psychiatrists, psychologists, psychiatric nurse practitioners or psychotherapists at Arista Counseling can assist you. Contact our Bergen County, NJ or Manhattan offices of psychologists, psychiatrists, and psychotherapists at (201) 368-3700 or (212) 722-1920 to set up an appointment. Visit http://www.acenterfortherapy.com for more information.